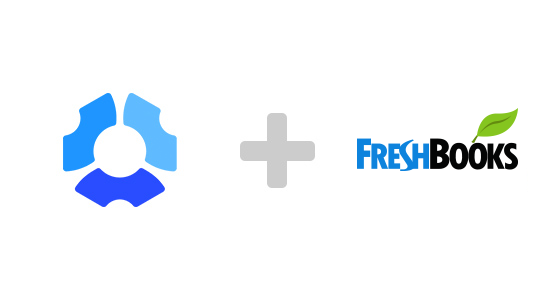 Seamlessly integrate FreshBooks tasks into your work flow and track time to them directly. The application runs on all major operating systems. 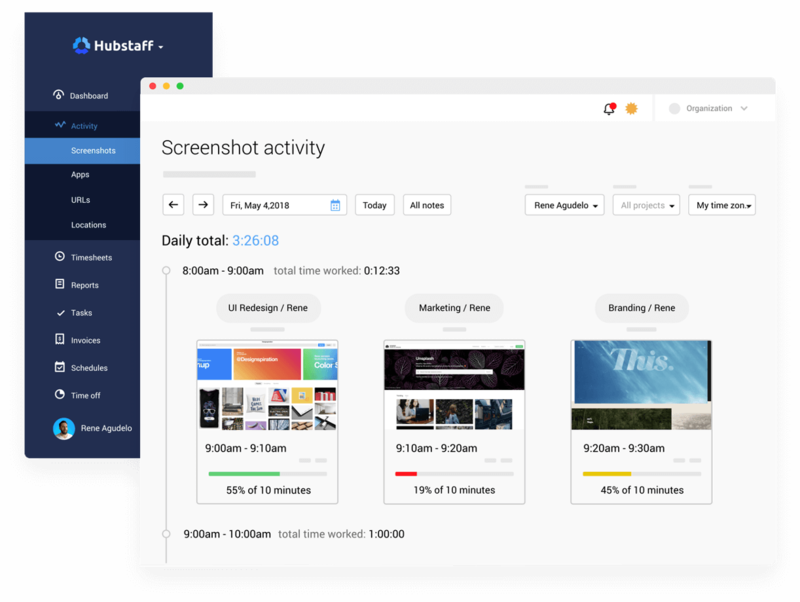 You can keep track of your team's activity by viewing screenshots of their work (up to three screenshots every ten minutes) and looking at their activity levels to show how active they were during that time. The app is compatible with Windows, Mac, and Linux operating systems. Hubstaff's app uses oAuth to automatically sync FreshBooks tasks. Once you allow the integration, you can link your FreshBooks users and projects directly to your Hubstaff users and projects. The users will then be able to track time to all assigned tasks within the Hubstaff app. You can always know what your team is working on by reading their work notes. Users can add notes directly from their Hubstaff timer or the website, and the notes will be visible in both their activity and their time reports for easy access. 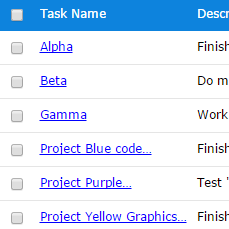 FreshBooks tasks sync automatically and assigned users can track time to them. 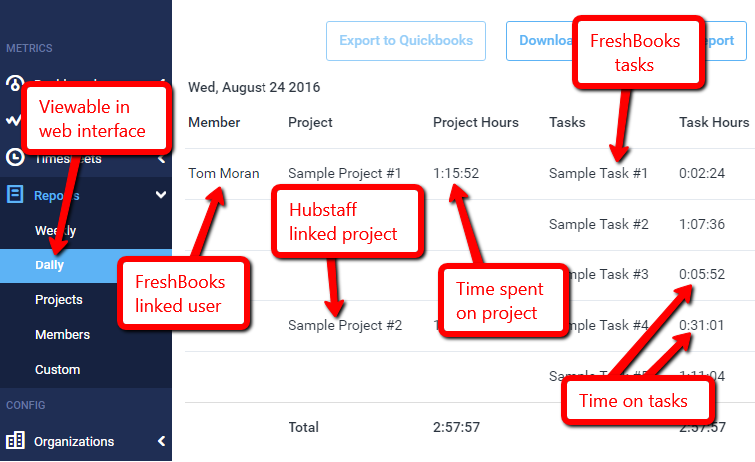 You can link your FreshBooks users directly to users in Hubstaff. Allow select users to add or modify time manually in the organization settings. Hubstaff gives you an easy way to see all of your FreshBooks task information in a single place. The reports can be easily customized to organize your data in a variety of ways. The reports can then be exported to a number of file formats, or even sent via email.